Alan. 23. Recent graduate in Marine Biology. (High 2:2.) Son of Blakeney, Norfolk. Bedroom dweller and seal tour guide extraordinaire. One August, Alan discovers a young woman lying amongst the seals and their lives become irreversibly entwined. But who is Lorraine? Where does she come from? And why does she take so long in the bath? Lorraine & Alan is an award winning modern retelling of the Selkie myth with live sound design, song and several hundred plastic bottles. Lorraine & Alan was largely developed during a residency at the Lyric Hammersmith. It was the 10th recipient of the Charlie Hartill Special Reserve Fund for Theatre. 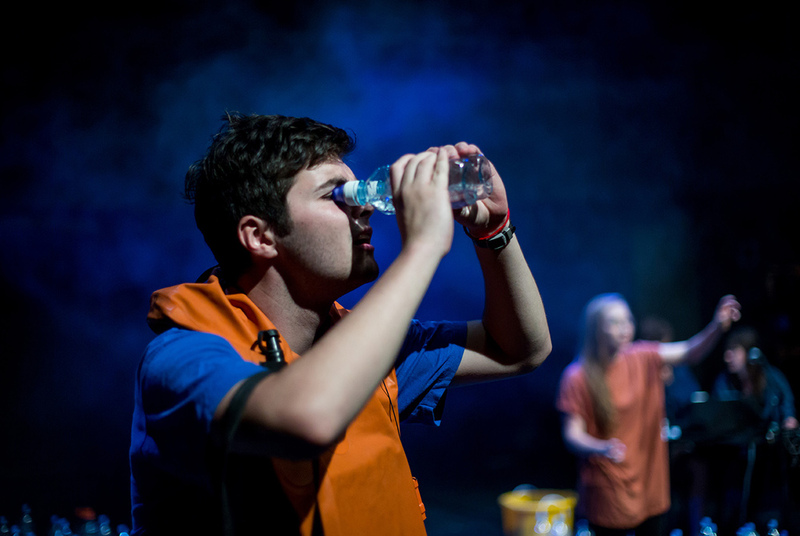 It premiered at The Pleasance as part of the Escalator East to Edinburgh programme of work in 2014 and toured nationally in Spring 2015, including runs at Battersea Arts Centre and Tobacco Factory Theatres.